Meet Vickey, our Administrative Assistant. 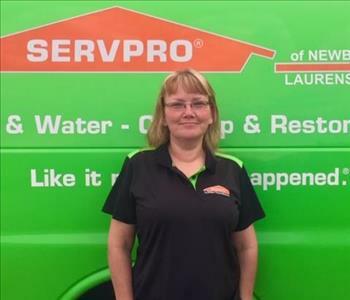 She has been with SERVPRO since 2007. She has been certified in SERVPRO Crew Training, IICRC for Water Damage Restoration and Dry book. If Vicky could pick one person who has been a hero in her life it would be her mother. She always put her family first. She makes everyone laugh and knows how to have a good time. She took care of all the kids and my father and still had time to help others in need. Meet Chris, our Production Crew Chief. He has been with SERVPRO since 2010. He has been certified in SERVPRO Crew Training, Carpet and Upholstery, IICRC for Water Damage and Restoration, and Fire Damage. Recently he received his IICRC certification for Fire and Smoke Restoration. Meet Little Mel, our Production Crew chief. He has been with SERVPRO since 2013. He has been certified in SERVPRO crew training, IICRC in Water Damage and Restoration, and carpet and upholstery. Recently, he received IICRC certification in Applied Structural Drying. If Little Mel could pick one person who has been a hero in his life it would be his Pop pop. He is the first Mintford and if it wasn’t for him he wouldn’t be Mintford Lamar Kitchens lll. He also served our country in the Air Force which means a lot to me. Meet Rob, our Production Technician. 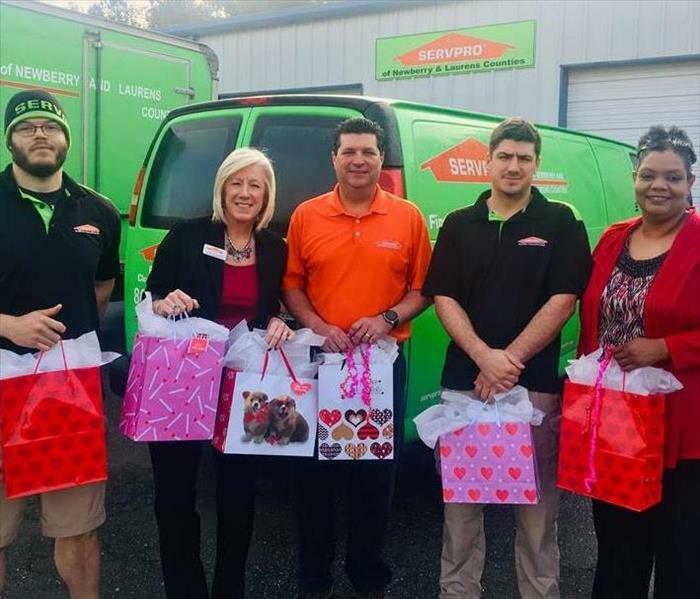 He has been with SERVPRO since early 2017. He has been certified in SERVPRO crew training, carpet and upholstery and IICRC in Water Damage and Restoration. If Rob could pick one person as his hero it would be his grandfather. He had a strong work ethic and taught Rob to always provide for his family. Attitude is everything...these guys roll up after a long day with spirit! Lil Mel and Chris our daily dream team! Meet our newest employee Christy McFate, Production Technician. Christy has been working with us a temporary employee since September of last year. We are so excited she has decided to become a permanent member of our family! Christy is originally from Vienna, Georgia. She and her husband of 22 years, Duncan, moved to Pomaria in 2002 to be closer to Duncan's father. They have 3 children, 2 boys and a girl as well has 4 grandchildren, all boys! Christy loves to read a little bit of everything. She is a GEORGIA BULLDOG fan adding to the competition amongst employees who are Gamecock, Hokie and Hurricane fans.